The Nils Klim Prize for 2009 was awarded to the Danish philologist David Bloch. "David Kristian Bloch, born in 1975, is a senior researcher at the SAXO Institute, University of Copenhagen. His research areas are Greek and Latin philology and also the history of ancient and medieval philosophy. His doctoral dissertation on Artistotle´s De Memoria et Reminiscentia, defended in Copenhagen in 2006, is an outstanding work. He made a new critical edition of Aristotle’s text, based on a rereading of all the eighteen Greek manuscripts from before 1400 and of the two medieval Latin paraphrases. His thesis also comprised an original interpretation of Aristotle‘s theory on memory and an analysis of the reception of this theory by Muslim and Christian authors in the Middle Ages. His doctoral dissertation was in 2007 published as a book entitled Aristotle on Memory and Recollection by Brill in Leiden. A summary is also presented in an article in Revue d´Histoire des Textes (2008). Of importance for the academic world is also his commented translation into Danish of the Greek text, published as a separate book in 2007. Bloch’s dissertation is original and solid, grounded as it is on an impressive amount of philological and philosophical research covering both Antiquity and the Middle Ages, both the Greek and the Latin worlds. Since he defended his thesis, Dr. Bloch has been engaged in various philosophical and philological studies that have resulted in a great number of publications in English and Danish. Aristotle and the immense medieval Aristotelian tradition form a central part of his scholarly work, but he has also published on Kierkegaard, Peter of Auvergne, Seneca and Racine. No theoretical thinker bears heavier responsibility than Aristotle for the philosophical-scientific knowledge which permeated the Middle Ages and provided the background for the scientific and technological revolutions of the modern era. There is still much that is not fully understood concerning the transmission and influence of ancient philosophy and science. At the same time this field of study is badly in need of competent young scholars who combine philological, linguistic and philosophical skills. David Kristian Bloch is in this respect a rara avis, a rare bird, continuing at high level of competence a long lasting scholarly tradition that is crucial for the historical unity of the European mind. In order to understand ourselves and the way we think, theoretical and interdisciplinary studies of the kind Dr. Bloch pursues are of utmost importance. The broad scope of David Kristian Bloch’s competence makes his work of great interest to all who want to obtain a better understanding of the origin of the theoretical ideas which have shaped the modern world." 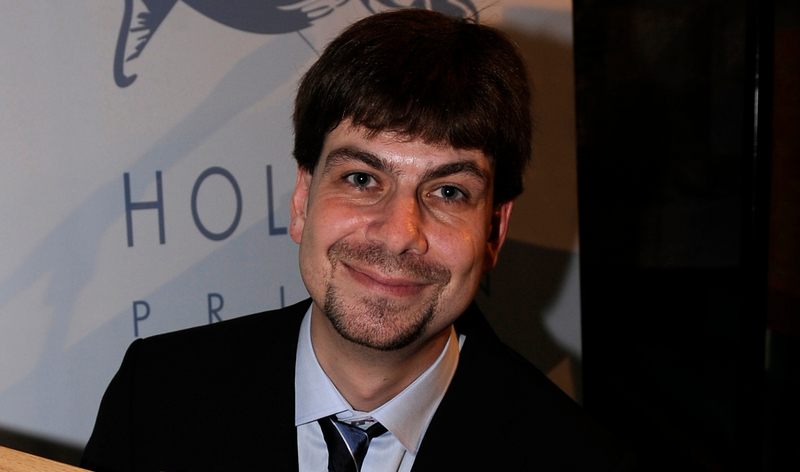 Bloch is a researcher at the Saxo Insititute at Copenhagen University.